Each day we have a choice as to how to spend our time and energy. Often our time is planned so that we can fulfill responsibilities and carve space for our “my time.” When we choose to include a SUP event as part of our practice, we set goals and design a training plan. It seems clear and straight-forward, right? 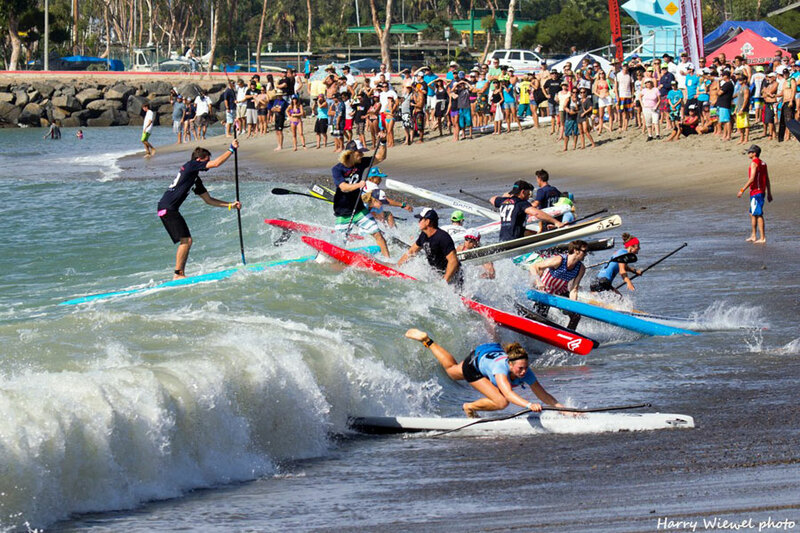 There’s always something that comes up – our time can get segmented, pulled in many directions and we might procrastinate away some paddle opportunities because of (fill in the blank). We might spend the months before an event we registered for with great anticipation and excitement being influenced by less than confident thoughts or fears, It might not be a lack of time, focus or discipline that de-rails our intention. We might simply need a reminder to inhabit each moment, rather than being led around by our thoughts and focus on our fears. Framing an event as an opportunity to “learn” rather than being forced into expectation or agenda can be refreshing. Yes, when we stay in our comfort zone or wander away from challenges it is much easier to live in the moment. The real opportunity for learning or growth comes when you reach and stretch, when outcomes could be way different from what we would have chosen or preferred. Plan a training session, plan something that will lead you toward your goals and set out to do it. During that session be aware, be present. Do you want to flee when things get tough? Do you fear you can’t complete a speed, a distance or a challenge? Notice when fear takes over your ability to be present. One of the best tools that can help us stay more present is our breath. When we are stressed or in our fears, our focus is most certainly not on breathing. We often hold our breath when we get anxious or frustrated. It is fine to interrupt a training session and bring your attention or focus back to your breath. 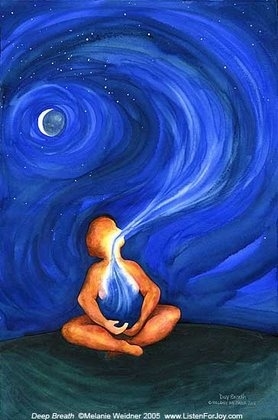 Something happens when you consciously bring your awareness to each and every breath. This has an amazing way of shifting our energy and bringing it into the present…even if that moment is very challenging. You may still feel your fear or whatever it is that took you out of the present, but you are taking action to return to being calm, strong and present. You will discover what you need in order to focus on your breath. You will develop a stronger mind-body connection. One way might be to close your eyes and shift your attention to your inhale and exhale. Allow them both to lengthen. Keep your focus there for as little as 20 or 30 seconds and see how that changes your energy. Many of the POWER OF PRESENCE SUP (P2SUP) audio programs provide a meditation designed to hone your skills for being present and focusing on breath. These are powerful tools for both training, competing and – life. 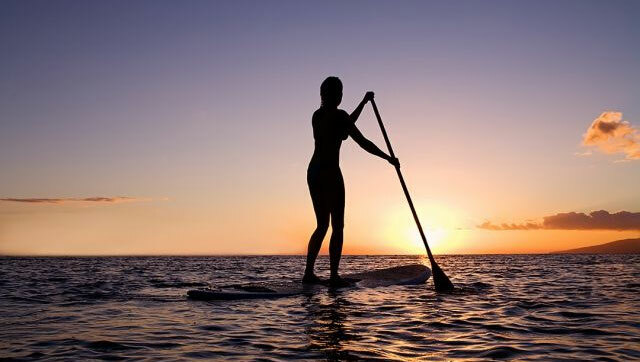 This entry was posted in P2SUP, SUP Fitness and tagged elder sup, P2SUP, power of presence SUP, presence, sup yoga, yoga breath, yoga present by Water Words. Bookmark the permalink.